Will emails go the way of faxes and pagers? It was the title of a 1998 Hollywood romantic comedy — and these days ranks among what must be the most dreaded phrases in the English language. Since 1971 when Raymond Tomlinson, an American computer programmer, pressed send on the first ever email, the by now ubiquitous form of communication has morphed into a monster. Each day, over 269 billion emails are pumped out across the globe — most of them by machines. Already they devour employees’ time and productivity but the figure is expected to rise to 333 billion by 2022. Instead, growing employee frustration over spam, the draining process of triaging important messages from the unfiltered mass, and the steady rise of alternative forms of communication — from messaging apps like WhatsApp to new software like Slack and Asana, have prompted many companies and individuals to ask an inevitable question: how long will it be before the email can be consigned to history, like the telegram, the fax and the pager before it? It’s still a few years off but such predictions, which have been made for a while, now look plausible. It’s not just millennials who are shunning email in favour of instant messaging services but a growing roster of influential people — from Christopher Nolan, the film-maker behind Batman, to tequila tycoon John Paul Dejoria who are following suit. “Pay attention to the vital few, ignore the trivial many,” Dejoria has said. Arguably more important is the fact that some of the world’s biggest companies such as IBM and Vodafone are actively seeking to curtail their internal use of email, amid a growing recognition that it is a distraction and an inefficient way to get work done. The average UK worker now receives 121 emails per day — of which 48 per cent are spam and only a small minority are messages that actually require a reply. The majority are meaningless, bland but legitimate business emails dispatched in bulk to bored end-users — a fact that explains how swiping your smartphone to delete emails has become as routine and unwelcome a chore as washing dishes or mopping the bathroom floor. Many people simply feel overwhelmed, including a colleague who said recently he had over 100,000 unread messages in his inbox. How could anyone feasibly process that many messages — and would it be a valuable use of their time? The answer is an unequivocal no. Appropriately enough, Tomlinson, who once remarked that he had invented email because it seemed like a “neat idea”, seemed to have a hazy recollection of the origins of his own creation. In a 2008 interview, he couldn’t quite recall what the first email — the result of a military research project by his employer Bolt, Beranek and Newman — actually said. It was, he speculated, perhaps “QWERTY” or another set of characters, which were conveyed a distance of one metre between two computers in a Boston laboratory. It’s a feeling many modern office workers would identify with, amid the daily deluge. 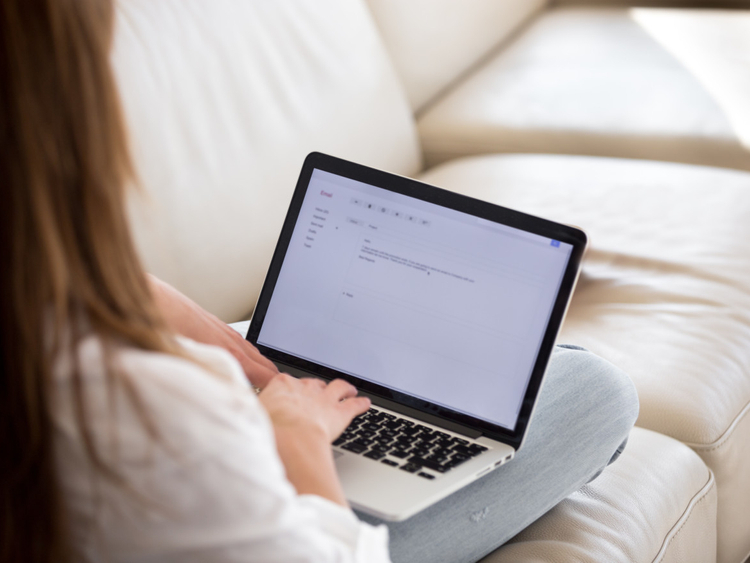 Research from McKinsey shows email now absorbs an average of 28 per cent of the average working week for high-skilled knowledge industry workers. Over 100,000 employees at IBM now use Slack — one of a new breed of collaborative workplace apps, which are increasingly spreading virally from company to company. Slack now has about 8 million daily users, up from about 1 million in mid 2015. It remains a tiny figure compared to the 3.8 billion people globally who use email — but the figure is growing fast while giants such as Microsoft and others have launched similar products. To be sure, email isn’t going to disappear overnight. It remains at the core of modern communication and invaluable to many companies and individuals, especially for sharing files and documents. As for Tomlinson — who died of a heart attack at his home in Lincoln, Massachusetts in 2016 — he won’t have the opportunity to see how the story of email ends. His creation has outlasted him and will celebrate its 50th birthday in 2021. Will it reach its 60th? I’d say it is doubtful. Robin Pagnamenta is head of technology intelligence at the Telegraph Group.